* AR usually avoids news items, but this event will likely have consequences in North American Anglicanism that will last for some time. The World Consultation of Continuing Anglican Churches, held Nov. 3-5th 2011, in Brockton MA, recently provided a showcase of ‘lesser’ St. Louis jurisdictions in North America. In attendance were ACA, APA, and DHC. Surprisingly, two of the ‘big three’ churches (PCK, UEC) were absent. Mark Haverland, as the Archbishop of the ACC, represented the mainline of the St. Louis Congress. The Consultation itself was hosted by the Anglican Church in America (ACA) which recently declined membership in the Roman Ordinariate allowing ACA’s anglo-papist wing to go their own way. The Consultation wasn’t unique. Back in 1999, the same “lesser” St. Louis churches were represented at Bartonville where unity in the continuing movement was likewise considered. The first Bartonville gathering occured with the witness of REC. Bartonville would eventually loose momentum, later gaining a second wind in FACA. But FACA’s involvement in ACNA has caused some to move away from REC toward the St. Louis’ “big three” (1), changing their point of unity from a revised 1893 Solemn Declaration to the St. Louis Affirmation. This signals a new direction for Bartonville churches but not without painful withdrawals from FACA-style ecumenicism. The genealogy of Continuing jurisdictions is complex. Rather than get entangled in their long history of in-and-out turf wars, the “lesser” St. Louis jurisdictions basically stem from parishes that left TEC between 1963-1974, mainly under the auspices of clergy like James P. Dees, Anthony Clavier, and James George. These bodies kept to a more ‘protestant’ identity than ACC, openly admitting the 39 articles into their standards while placing little emphasis on the St. Louis Affirmation. Through a series of splits and mergers, many of these pre-St. Louis churches eventually found their way into the 1977 Congress bodies. A fairly decent example of extant pre-St. Louis churchmanship might be read in the 1999 Articles of Ecclesiastical Fellowship (click link, scroll down) signed at Bartonville. Readers also might notice the commonality of these articles with Solemn Declarations frequently used in North America. To avoid any insinuation of insult, this essay hence forth shall refer to “lesser” St. Louis churches as the Bartonville Convocation(2). In 1990 at Deerfield Beach Bp. Anthony Clavier (AEC), along with Louis Falk (ACC), merged the pre-St. Louis (AEC) and Affirmation churches (ACC) together forming the ACA. After a coterie of bishops led by Falk seized control of the newly formed ACA, Clavier’s ‘low church’ diocese was expelled (3). Clavier’s suffragan, Bishop Grundorf, turned this diocese into the APA. Meanwhile, the ACA bishops slowly marched toward Rome, taken what they could from the merged ACC and AEC parishes, planning to enlarge the Pope’s 1980 pastoral provision. Since the Provision’s evolution into Anglican Coetibus, three-quarters of the ACA reversed course, leaving the papist clergy to fend for themselves at the door of Cardinal Wuerl. The ACA’s intercommunion pact with APA is likely the biggest event to hit the Continuing movement since Deerfield Beach. It poses to place ACA-APA back at the helm of traditional Anglicanism. With that prestige, ACA-APA might eventually pull ahead the ACC as the Continuum’s flagship. This could take traditional Anglicanism in a different direction other than the “non-involvement” policy ACC would have against non-Affirmation churches. Given the history of APA, there might even be a consideration to move toward ACNA. However, this would require breaking ranks from the St. Louis churches since ACC has maintained a strict policy of shunning groups that depart from the Affirmation, particularly with bishops who are in communion with WO. In order to appreciate the difference between ACA-APA and ACC, an overview of ACC policy is in order. Based on numerous statements by ACC, + Haverland has articulated a rather steady shunning policy rooted upon two principles. “Anglicanism can only continue in a form that is clearly both Catholic and Orthodox and which submits Anglican formularies and all that is peculiarly Anglican to the higher authority of the consensus of the central Catholic Tradition…How many sacraments are there? Anglican formularies suggest that there are ‘two only’. Many Anglican theologians say, ‘There are two only that are generally necessary for salvation, but there are five others.’ But Rome and the Orthodox and the Affirmation of St. Louis all say clearly and unambiguously, ‘seven’. So seven is the answer. So too with the number of ecumenical councils. So too with the real, objective presence of our Lord in the Eucharistic elements quite apart form the subjectivity of the recipients of the sacrament. So too with the invocation of the prayers of our Lady and of all saints. ” (p. 5, Keynote Address 2006). Taking ‘Central Tradition’ as Orthodoxy with Romes’ post-patristic consensus basically eviscerates justification-in-worship as understood by historic Anglican standards, leaving the 39 articles contradicted and prayer book incoherent. The ACC is able to reconcile Settlement standards to medieval doctrine by giving ‘supplementary texts’, namely, the Missal, Affirmation, and their C&C. Among the “big three”, the ACC drives theology and anyone who might stake a claim to St. Louis will likely need to reckon ACC formula. This theoretically leaves Haverland as the sole patriarch of worldwide Anglicanism. Additionally, if canonical territories are taken seriously, as done with Eastern churches, the ACC would have first bids by inheritance through the Church of England, leaving all catholicism in North America properly under ACC. Anyway, the implications are fantastic. ACC has some troubles. It must maintain rank discipline and enforce an anathema among churches usually considered outside the “big three’s” immediate scope of influence. This is not going to be easy given the habit of ecumenicalism pre-St. Louis churches indulged upon. Indeed, section V of the unaltered-Affirmation permits relations with “faithful parts” of Canterbury’s communion, and, as Bishop Boyce commented in his letter 2008, ‘there are many back doors of entry between continuing and lambeth churches’. Furthermore, ACC is trying to raise the Affirmation as the sole banner of subscription between churches that are closer to ‘Bartonville’ than St. Louis. The Bartonville churches treat the 39 articles in very broad ways. This ‘broadness’ is a two-way street for ACC since it applies to the Affirmation as much as the 39. The ACC claims the Affirmation can comprehend a tract 90-style accounting of the 39, yet it warns more protestant-minded churchmen the 39 possess no authority apart from the Affirmation. Can pre-St. Louis churches give more than nominal assent to the Affirmation, and, if not, what can persuade them to consistently shun ACNA? The ACC solved this dilemma by scuttling the 39 articles in favor of an Anglicanized old-catholicism. In contrast, the APA-ACA resolved the tension of the Religious Settlement by listing both 39 and Affirmation in their respective Solemn Declaration (SD), leaving either one or the other as subordinate. The APA seems to favor the 39 articles since its SD reads, “And We are determined by the help of God to hold and maintain… the Thirty-nine Articles of Religion of 1801; and in the spirit of the Affirmation of St. Louis of 1977; and to transmit the same unimpaired to our posterity”. Notice the laudable clause, “the spirit of“. Bartonville and FACA still cast a shadow over the ACC-wing of the Continuum, leaving the outstanding question if a Solemn Declaration or amended Affirmation(4) should be the common rally point. If Solemn Declarations drafted upon the 1893 archetype prevail, then broadness will follow unless reference to the Affirmation is either completely dropped or perhaps softened (see my asterisk proposal). Though APA/ACA are fairly broad in churchmanship, on the whole they are also very conservative and would keep the 1928 BCP and exclusive male orders in the last instance. If historic Solemn Declarations become the normal way to define traditional Anglicanism, then what barrier is there with churches inside ACNA like FiFNA or REC? As Wallace Spaulding indicated in his 2009 Report, the participation of Continuing churches like APA and/or ACA inside ACNA would have tipped the scale against WO in early days of ACNA’s . North American Anglicanism would be very different today. Furthermore, ACNA is really a federation rather than something canonically united. However, this allows new members multiple ways to relate, often by flying dioceses rather than territorial merger. Either way, questions of alignment are coming to a head between the respective Bartonville and ACC-aligned churches, but how the Affirmation is dealt with will determine what role Bartonville Anglicans eventually will play in ACNA. (2.) Bess described churches of the same ‘low church’ brand as the Bartonville Convocation as the “Southern Phalanx”. Peter Robinson characterizes the mid-fifties and sixties episcopalians who eventually left TEC as mostly central or MOTR churchmen. I am trying to obtain a copy of AECNA’s 1972 Solemn Declaration which predates St. Louis. Dee’s 1964 AOC SD would be gold. “A little correction on the split within ACA. DEUS was not formally expelled from the ACA. They did leave because Falk tried to hijack the election of Grundorf as Clavier’s successor. Some of this has to do with Falk usurping responsibility over the eastern province of the new ACA. Yes, originally, the ACA was a two-province Church. After the fall of Clavier, the senior bishop was Chamberlain of DNE. Falk usurped, as I said. DEUS refused to allow this and found it wiser to leave. Other parishes transferred allegiance to DEUS, which then erected the APA and later hived off the non-DEUS parishes into another diocese or two. Now, Hanlon was the other former AEC bishop; he went over to APA with Grundorf. I lost track of him shortly thereafter. (4) The ACC has a solemn declaration, but it’s composition is extremely alien to the 1893 archetype. For all intents and purposes, it’s more accurate to call the ACC’s SD an affirmation of the Affirmation. It adds very strong apostolic succession language by which the Athens Statement grew. This entry was posted in ACNA #2, St. Louis Affirmation. Bookmark the permalink. Ok, Charles, just how do you get by St Paul admonitions in the New Testament? I know that you and Amanda got burned by idiots in the ACC and I regret that, but just what do the REC bishops do when the “deacons’ at an ACNA eucharist are women? Good question. Where Amanda and I worship there are Pittsburgh and REC churches in relation. We attend the REC. When women were recently ordained, my rector refused to attend. That said, he regularly meets with a Pittsburgh counterpart to work in other areas of commonality as well as dissuade him. Now, these criticisms always come back to Pittsburgh when most pundits know Duncan is not going to change. Rather, the impetus would come from Fifna and REC. A better thought might be to watch what REC is doing with Dioceses like Fort Worth, San Joaquin, and Quincy. That’s where you’ll see the first rollbacks, and likely what got started incrementally can only be reversed the same. So, my question is once a rollback makes headway, can ACC uphold section V of the St. Louis Affirmation which commends unity with ‘faithful parts’ of Canterbury, or read similarly, ACNA? They’ve already made progress on the Ordinal (see Dunbar’s review), so I don’t see why more headway isn’t possible. And finally he’s a priest in The Episcopal Church. I don’t see a pattern of stable, principled theological conviction here; he’s now in a church that represents everything wrong in Anglicanism. In any event, it makes much more sense for those who strongly favor the St. Louis Affirmation to band together before they try to bridge gaps with bodies that are only secondarily attached to it. Anthony Clavier’s page of history with respect to the Continuing movement is past, but the chapter is not finished. It goes on through the AEC descendants. The list you provide is not very different from today. Continuing Anglicans are fragmented. This is the problem both the Victoria and Boston Congress want to tackle. Meanwhile, how easy is it for any person to pass through several jurisdictions before finding a modicum of stability somewhere in the polyglot Continuum? However, I hope this situation ends soon, and my own parish which came from APA to REC still prays every Sunday for unity in the Continuing church. I think it important. Nonetheless, Continuers will soon need to ask is if the common point of unity will be from a strict interpretation of the Affirmation (as Haverland wishes) or a historic form of Solemn Declaration as held in ACA-APA . These are really two different documents. The former cannot be isolated from ACC C&C, so this means: 1. the Settlement has no normative status, opting instead for a modern pan-catholicism, aka., ‘central tradition’, which will produce future hemorrhages. 2. within this pan-catholicism there is a selective and exaggerated view of apostolic succession that conveniently excommunicates de facto Anglican bishops not of the Chamber’s line which in turn dictates a self-isolation that demonstrates the validity of such . So, the reasons for REC-ACNA shunning have little to do with someone else’s ‘bad theology’ but flow from ‘bad theology’ itself. Another route, against Haverland’s fanatical advice, would be adopting a Solemn Declaration that handles the Affirmation in a rather “nominal” or modest way. This would ultimately would draw upon APA-ACA’s common history from the AEC, producing something “central church”, as Bishop Robinson has dubbed it, where the 39 articles and BCP interpret the Affirmation (“spirit of”) rather than the other way around. The UEC has already moved ahead on such, promising to secure something very close to Settlement Anglicanism while standing within the trajectory of other North American SD’s, many of which belong to traditional Anglicanism. Probably one of the saddest results of ACC diplomacy has been the spread of a revisionist history where Continuing Anglicanism proper cannot be spoken of outside the St. Louis “event”. This cobbles ACA-APA’s identity which automatically become dependent for their “life” upon the Chamber’s succession, rendering AEC descendants peripheral rather than central to Continuing history. The trade-off is the Affirmation soon becomes “everything” while the APA/ACA SD slowly becomes “nothing”, and with that loss also goes distinct churchmanship. The article’s goal was to ask if ACC or ACA-APA ought to set the tone for continuing movement ecumenicism. I judged each (Bartonville vs. St. Louis) on the basis of their C&C plus various public statements w/ a guess how continers can noticeably break into the North American milieu. I agree with Bishop Robinson’s article, but the differences between the Affirmation and traditional SD’s needs to be settled. I also massaged some points suggested by the UEC Archbishop into a similar sort of SD as APA. 1. The St. Louis Affirmation was not designed to reaffirm a doctrinally sound or consistent sort of prayer book Anglicanism. It’s architecture was looking toward an imagined Pastoral Provision if not an Anglican Rite Uniate. The St. Louis Affirmation is therefore much more than a covenant to bind the St. Louis Congress to preserving exclusively male clergy or apostolic orders. It’s main thrust is to extend the period of reliable doctrine far past the seventh century by introducing rather exaggerated claims about seven sacraments and seven councils. There are other ways to defend a male clergy and apostolic order than having to swallow “seven and seven” with it. This is why we should spare extra attention with the APA Solemn Declaration which privy the 39 articles while qualifying the Affirmation with “spirit of…”. The Affirmation must be taken in the nominal sense. 2. Policies of Non-involvement are used in such a way so to manage Bartonville churches so they do not re-engage Fifna and REC. This purposed isolation ties the other half of the Continuum who are not necessarily committed to a strict interpretation of the Affirmation (the UEC as well) to the mast of the ACC flagship. Unfortunately, that flagship has dogmatically concluded there is no Anglican church outside the Chamber’s succession. Such extreme views on apostolic succession or charism leaves the ACC rather stoic about numerical decline since dogmatically understood there can be no other Anglican church. In a 2006 speech to FCC Haverland said, “In the long run this principle [central Tradition] will impel Anglican Catholics towards the Roman Catholic and Eastern Churches, and that is entirely appropriate”. Therefore, ACC is prepared to enforce a questionable discipline that binds the rest of the Continuum to its fate. Furthermore, “non-involvement”, as ACC interprets it, means there are no third options. This means middle-course relations such like the synodal address delivered by Bishop Jonah (OCA) or ministerial partnership proposed by Bishop Hewett (DHC) and apparently still enjoined by APA are not options. This policy also flaunts the ACC’s previous ecumenicism with Australian segments of Lambeth during the late-1980’s (p. 190, Divided). But the present policy leaves an all or nothing dichotomy, imo, delegating the Continuum to perpetual isolation and irrelevance. Hopefully, Bartonville churches will break from the ACC’s leadership, forming a new center of unity based on classical Anglican standards as typically expressed in North American Solemn Declarations. 3. The ACC has been very successful in recasting the St. Louis Congress in a way it has become a genesis “event”. This revision conveniently relocates the ACC at the end of Anglican history. Such a history completely ignores the formation of the continuing movement before 1977. It also leaves the Continuum’s end a foregone conclusion. An unfortunate casualty of this history is the AEC which based itself on central church principles in 1968. Marginalization of the AEC means the APA/ACA Solemn Declarations are also displaced, leaving continuers with no other knowledge of alternative professions aside from the Affirmation interpreted by ACC C&C. Regarding this latter point, the ACC says there’s no “debate or equivocation” and that Affirmation points are unalterable. Therefore, continuing churches which totally shun REC and Fifna (‘faithful parts’ of ACNA) do so on questionable grounds– not only reasoned by WO but “seven and seven”. I think we need to talk about this. Basically, the ACC is putting a noose around the Continuum’s neck, and I hope Bartonville related churches elude that knot. To accomplish this, they’ll need to dig into their own history however unpleasant. I would have never made the decision to be received into the ACC if I did not believe that I can rely on statements such as these and other data that led me to conclude it is possible to be a central churchman in the ACC. Moreover, as one who happens to agree with Frs. Hart and Wells that The 39 Articles are authoritative, I simply cannot set them aside as some sort of Reformed oddity that bears no relation to the Catholic faith. Among other things, the Articles stand as a bulwark against the semi-Pelagianism condemned at the Second Council of Orange and the Third Ecumenical Counsel at Ephesus, which means *at the very least* that Augustinian predestinarianism should be accorded a place as an acceptable theologoumenon for the Catholic Christian. In a recent Trinitarian article, Abp. Haverland expressed the hope that the ACC would see at least some growth from disaffected Baptists and other Evangelical groups. Having come to know Jesus Christ through the ministry of Evangelicals and who did become disaffected, I think His Grace may presume too much here if indeed he is set on the course you describe. Most disaffected Evangelicals are generally not so for soteriological reasons, but liturgical ones. If the ACC hopes to address its current perpetuation problem by drawing Evangelicals, I would suggest that jettisoning the Articles, etc. might prove rather counterproductive. This quote neither defines Protestantism nor explains why 16th century concilarism failed with Rome. On what historic terms did Protestants seek rapprochement? Do you think baptists can take communion as baptists? By the ACC’s own 1979 resolution– adopted at the Indianapolis Synod to preempt Doren’s exodus– the ACC has never desired the expulsion of evangelical laity or rectors, acknowledging this brand of churchmanship exists within itself. That said, the ACC has never placed low church bishops on the bench. Nor will it accept intercommunion with bishops that refuse strict reading of the Affirmation. The pact with UEC was signed under Reber not +Robinson, and this is significant. Hart and Wells are in denial. You can’t read c 2.2 apart from c 2.1 per ACC’s C&C. Incidentally, Haverland disagrees with Hart’s interpretation of c2.2, saying the 39 Articles have no normative authority in the ACC. Assigning the Articles a less than definitive status is contrary to all North American Solemn Declarations descending from the 1893 archetype. Furthermore, there is nothing in the ACC C&C or Affirmation that refute medieval innovations such as invocation of saints, realism in icons and other sacramentals, propitiatory sacrifices for the dead, exhibitions of the ‘host’, or annihilation of bread upon confection. Haverland has defended these innovations in his book, Anglican Catholic Faith and Order. as well as in various public addresses since its publication. By reason of public oath, clergy cannot alter or teach contrary to the doctrine professed in the Affirmation and C&C. This means you must give assent to the “objectivity” and “efficacy” of grace in seven sacraments, including confirmation and marriage. I have quoted numerous Anglican sources regarding the seven sacraments, including Newman’s Tract 90, disproving the Affirmation’s stance on this particular clause. Now, if you’re comfortable with such “unalterable” dogma, then you’ve made quite a case against the English Reformation. Worst, you lack theological justification to abstain from an Anglican Use, WRO, etc.. The only way out of such is to read the Affirmation in a ‘nominal’ or ‘altered’ sense, but ACC has never accepted this position. In fact, jurisdictions like APA and ACA who have sought to broaden the meaning of the Affirmation have been excluded from the “big three” despite the AEC’s presence at the 1977 St. Louis Congress and later adoption through in 1990 TAC. The Affirmation, as understood through ACC canon– and articulated quite perfectly by Archbishop Haverland– has been at the heart of continuum division since 1980. Unity will remain symbolic/PR until the APA and UEC conform to a strict reading. My advice to you is to take your time. Seek a jurisdiction where you can uphold not only the teaching authority of the diocesan bishop but plain reading of the C&C and archbishop as well. If you are still a ‘protestant’, consider either the UECNA-West or APA. These are churches that have kept a broad view of the Affirmation, recognizing the Affirmation’s invocation of tradition against WO while avoiding literal agreement with “seven and seven”. Also keep in mind, the continuing movement is older than St. Louis, going back as far as the 1940’s. You should clarify these things with either AB’s Grundorf or Robinson. 1) I did not mean to imply that Baptists could take communion as Baptists, but as Evangelical converts to Anglicanism. I know that there will be a relative handful of Baptists who end up converting to Roman Catholicism, Orthodoxy, or Anglo-Catholicism/papalism, but I think it’s safe to say that most who will leave the radical Reformation for a more traditional body will want to keep at least the conservative Reformation. 3) My decision to be received into the ACC had nothing to do with the ACC as such, but rather with Continuing Anglicanism, as the ACC parish is the only CA church near me, and that is 35 miles away. All along I have known that migration to a more classically Anglican body might be in my future, if a mission were ever established here or if we ended up moving to a location where, say, a UECNA parish exists. So, I’m not adamant about the ACC. In consider it a proper “jumping in” point, but I simply want to be a regular traditional Anglican. To me, that entails the acceptance of The 39 Articles as a key formulary. As for the rest of your reply above, well, I will take it all into consideration and then see what the future holds. I beg your prayers for me as I step out on this journey. ACC in southern CA has some exceptional parishes. I am very sympathetic to 1) and 3). “Some ceremonies are merely ceremonies; some mixed. They that are merely ceremonies need no special warrant from scripture, but are sufficiently warranted by the general approbation for God’s Word, which giveth a permission and liberty to all the churches to make their own choice of ceremonies according to the rules of order and decency; but the mixed ceremonies, whereunto the imposers, or the generality of observers of them, annex some superstitious and erroneous opinion (whether it be of merit or inherent holiness, efficacy, or real necessity), do in this case change the nature and become doctrinal, and in this respect are condemned as not only beside the warrant, but plainly against the precept of Holy Scripture”. My point is to be careful what we call ‘adiaphora’. In fact, our Book of Articles began in 1536 by distinguishing among points of “faith” vs. “laudable ceremonies”. The late-Henrician canon was pretty clear that the reverences and superstitious rites above were not “laudable” but were “contrary” and/or “repugnant” to scripture. This carried throughout the Settlement period(s). When ACC re-introduces these medieval rites, they totally miss the working principle of English reformation, namely, the ‘right use’ of ritual, aka. “justification in worship”. Henry VIII applied this principle to sacramentals and Edward VI to the components of the Papal mass. Haverland’s treatment of transubstantiation is touched upon on p. 78-79. Haverland notes the Articles of Religion reject such, but he adds, “they of necessity only refer to versions of that theory that existed before the Articles were written, and not to modern versions of that theory, which, consequently, may be believed by Anglicans.” He then discusses a convergence in doctrine upon the manner of sacrament, aka. ‘trans-elementation’ “. Of Transelementation, Haverland says, “while being less defined than modern transubstantiation, nevertheless imply a change in the meaning or significance of the bread and wine. This vaguer theory is now generally accepted by Anglicans, without excluding more precise defined views which are held privately by some”. “Therefore it cannot be the case that the Body of Christ comes to add itself to the bread, as if bread and Body were two similar things that could exist as two “substances”, in the same way, side by side. Whenever the Body of Christ, that is, the risen and bodily Christ, comes, he is greater than the bread, other, not of the same order. The transformation happens, which affects the gifts we bring by taking them up into a higher order and changes them, even if we cannot measure what happens…The Lord takes possession of the bread and the wine; he lifts them up, as it were, out of the setting of their normal existence into a new order; even if, from a purely physical point of view, they remain the same, they have become profoundly different. This is just another way to say transubstantiation. At the very least it does not exclude transubstantiation. What you’re going to encounter with ACC doctrine is that it contradicts a number of articles particularly in relation to sacrament(s). In such instances, the 39 articles do not have priority. Both the 39 articles and Affirmation have proven bones of contention between continuing churches. The only way out is to modify one of these two standards. The question for the Continuum will be which one can be reduced? APA and UECNA normally would pick the Affirmation (“spirit of”) while ACC and PCK would let the 39 articles take the hit. In the end, it really boils down whether or not the Settlement was correct. As said earlier, if the Elizabethan Settlement was indeed a mistake or a temporary political arrangement, etc., we really don’t have a reason to be Anglican aside from an aesthetic. In this case, we might as well be preserving our style in Anglican Use or WRO. It really doesn’t matter because our self-justification is left to rather frivolous details about externals rather than essentials of faith and worship. Very interesting reading. I would like to point out something, though. Charles, you said that the APA can claim the right of being the first Continuing church. That would actually go to Bishop McLaughlin’s Orthodox Anglican Church, which was established back in 1964. That church is a signatory of the Bartonville Agreement, which makes it, too, a Bartonville church. I could add a lot more, but I just wanted to make that one point. absolutely, absolutely! AEC’s genealogy goes further back than 1968. The only reason I didn’t mention AOC/OAC was for reasons of expediency. AEC was the biggest continuing church in the 1980’s. It existed before St. Louis and was present at the first Congress. AEC probably has the most immediate connection to present-day jurisdictions like ACA and APA, of whom the ACC is pushing to maintain rank. In my mind, the Bartonville churches have far more in common with orthodox Anglicanism than the ACC which cuts the Settlement of Religion out with an exacto-knife. It also seems the frequent omission of Francisco Pagtakhan from the Denver consecrations is related to his later involvement with AEC. The ACC would remove the memory of both AEC and Pagtakhan for a greater monopoly on continuing anglicanism. Identification of the APA as related aboved is a rather sanitized version of the facts. The truth is that Bp Grundorf assumed that he would succeed Clavier, and when he was not elected, he left with his supporters rather than stay. Sadly, an often heard tale in the so-called continuum. Fair enough, Jack. I tend to believe ego and territorialism, though present, are less critical problems than often alleged. The main obstacle behind Continuum unity has always been the ACC C&C. From the date of their inception, through Doren’s departure, to troubles with AEC in the eighties, including the formation and rivalry of TAC, etc., the ACC C&C has been a constant source of agitation. The personality of Bishops indeed aggravate the overall situation, but the main problem has been certain C&C that central churchmen don’t want to fall under. Territorialism is less problematic since ACC has proposed flying dioceses in the past, particularly to encourage unity with PCK and the AECNA rump. I was surprised to learn how far non-geographic dioceses go back in continuing circles. If continuers go forward, they need to accept a minimal C&C that can unite broad and catholic jurisdictions. The ACC version cannot accomplish this unless through attrition, meaning, a scenario where the APA or UEC eventually shrink to nothing and seek rapid merger in order to save a couple parishes. In the end, the continuum will have to adopt fairly broad/umbrella C&C, not unlike ACNA, that can leave the older provincial canons intact. This would be a definitive step beyond past engagements (mostly in the eighties) where bishops observed each others synods, attended or spoke at the same conference, or participated in mass together, yet achieved no structure or durable canonical unity. The Victoria and Boston Congresses are not altogether special in terms of past unity talks, but they have proven very useful for advertising certain continuum strengths like anti-WO and 1928 bcp. Until the bishops produce a broad structure that can represent various continuing churches as one body, these meetings are little more than PR. They’ve asked for ten more years. I see no reason not to give them the ten, but after that then what? Meanwhile, ACC needs to give up the Athen’s statement and notion of pressing their C&C upon APA and UEC; adopt a modest Solemn Declaration close to the 1893 archetype that can work for both St. Louis and pre-St. Louis jurisdictions; and then we might see something resembling a united continuum rather than photo-ops of bishops posing together. Having read this article, and realizing that none of the respondents are willing to note (or just failed to mention) that the later Caroline Divines were much more leaning to a ‘non-papal Orthodox lineage’ for Anglicanism, I cannot surmise why the allure of ‘poping over’ has ANY cachet, in this day and age of Roman clergy sexual abuse, gay gymnasts ‘entertaining the pope’ in the Vatican, and Dignity chapters all over the USA. Having left the Falk contingent some time ago, I was appalled that the men who actually purported to be leaders in Anglicanism ‘back when,’ were/are now willing to jettison five hundred years of wisdom for a post-Vatican II Rome, who, with their recent ‘English Liturgical revision’ has only gotten to where Cranmer was, five centuries ago- but hey, at least we don’t have ‘feed box’ theology coming out of Rome these days- just sissy clergy. The same sexual gauntlet laid at the feet of much of the ACC could also be said, but as one cleric who is ‘just as catholic’ but ‘hardly inclined to tolerate sodomites on the altar’ said to me recently, ‘The less said about that, the better.’ But at least the ACC is willing to realize that you cannot have- you CANNOT HAVE – a ‘real’ church, without ‘seven and seven’ as the Ecclesial Cocktail, as it were…. The studied ignoring, or the desire to continue to ignore the Seven Sacraments and the Seven Ecumenical Councils- even among Evangelicals- in this day and age of patristic studies, however, is more than appalling. It is downright bizarre. You said you didn’t mention the OAC/Dees- well, the current ‘hierarch’ there, is only willing to acknowledge three councils, and is poised to be Baptists with Prayer books, it is so low. The REC under Sutton has learned well their lessons from the Christian Reconstructionist Calvinists, and have restored something of the catholicity of the English Church, (at least these former calvinists realized THAT much!) but are they unwilling to come out from their evangelical rock as well, and join the twentieth- or even the twenty-first century, in the ‘matter and form’ of ‘seven and seven’? It would appear so.Or is Bp. Ray reverencing icons at this time- which would only be taking the lead from the late David Chilton, who knew where all of their studies were leading…..
You state you attend an REC church. From the standpoint of most of the “Continuers” up until the mid-1990’s, the REC wasn’t even an ‘ANGLICAN’ church, in the accepted definition, back then. Perhaps times have changed. I know that Bp. Sutton sure has, since those days of ‘Liturgical Studies’ from Tyler, TX. But you conflate Rome, Orthodoxy, and all and sundry alphabet soup monikers of Anglicanism, as if they were equal and interchangeable parts of some cosmic church jigsaw puzzle, and treat them as such in this article, which clearly undergirds the ideolgoical position that the One True Chruch is fractured – and She isn’t! How is this to be compared to the phrase in the Nicene Creed: “I believe in ONE, holy, catholic, and apostolic Church”??? Not many, not some foolish branch theory, but ONE church!? The LCMS is avidly opposed to the three-fold order, and her stuck-in-the-mud ‘sola’ theological constructs keep her clergy and laity in the ‘infant’ stage of Christianity for their entire lives. My wife can attest to that, having been raised a Lutheran! The OCA was not considered CANONICAL by the traditionalist Russian Church, as her ‘tomos of autocephaly’ was given by unrepentant, and graceless Soviet apparatchniks, whose last Hierarch was a KGB spy, for crying out loud. The so-called ‘SCOBA-dox’ clerics in the USA, meanwhile, are merely the Phanarian equivalent of the COCU (Consultation on Church Union) of the 1960’s – whose members included ‘droopy drawers’ Pike- and these ‘Ecumenical Orthodoxy’ are integral members of the WCC/NCC- which was why the ‘Continuer’s LEFT ECUSA in the first place, even with the Evangelical contingent! Moreover, they (SCOBA) are complicit in annulling themselves from their own tradition, by coming under the Anathemas of the “Pan-Heresy of Ecumenism” which the Russian Church Outside of Russia declared in the 1980’s. Roman Catholics are the walking wounded these days- not much left, except that of social activists with vestments- Berrigan, are you happy?. They are [ispo facto] little more than the Italian wing of the United Methodist Church. Ugh- Please. And finally, Messianic Jews?!? Are you kidding me? EVERY SINGLE error and heresy which the Baptismal service of the undivided Church sought to abolish, in having different rites for different errors, is undermined, when one does not call ‘those who say they are Jews, and are not” [ Rev. 2:8,9] to RENOUNCE this racist and utterly fallacious error, upon becoming children of the Covenant- which they were NOT a part of, BEFORE they became Christians! Or are Anglicans unfamiliar with Romans 9:6? This column has opened my eyes to something I was completely unaware of, hitherto. If this is the heartbeat, the ‘raison d’etre’ of being/thinking of ‘continuing Anglicanism,’ then you are ALL ‘playing Church’ and are, as a former Roman Pontiff announced, “Absolutely null and utterly void’ in your claims to either be a) Catholic, or b) Orthodox in your theology. My God, was I deluded about your real beliefs for that long? The Nashotah clerics who invited [St.] Tikhon Belavin back in 1903 were, in this light, perhaps that last gasp of honest, patristic leaders, who sought to ‘come home’ to a valid, real, ‘orthodox’ Orthodoxy, back when Orthodoxy was ready and willing to have the Ecclesia Anglicanae rejoin the One True Church. For without (at the very least) ‘seven and seven,’ you don’t even have that….. And you’re not gonna find it in Rome, or with the SCOBADOX, I can tell you that…. “In the end, ALL the Churches will serve Antichrist.” – Fr. Seraphim Rose, 1980’s, Orthodox priest-monk, convert. Cue the Twilight Zone music. As complicated as anything passing through the Continuing Church, I worship in an “REC” diocese that actually came to ACNA from APA. The diocese entered REC through an earlier APA-REC joint affirmation, allowing it to keep APA canons as well as the 1995 Solemn Declaration which declares ‘the spirit of the Affirmation of Saint Louis’. Seven sacraments is not a primitive teaching, and we can count more or less depending on the operating definition. I do believe there are seven “commonly called” sacraments. They are given in our prayer book. If I were to use an eastern definition for ‘sacrament’, I’d surely come up with many more than seven. However, as an Anglican, I admit the definition given by the Thirty-Nine Articles as well as the wholesome commentary attached (see the Homilies) which narrow gospel sacraments to those which have the nature to ‘remit sin’. Clarifying the difference between sacraments was a central concern of prayer book and articles, such being an example of “right-use” or “justification” as applied to worship. Without “right use”, there’s no English reformation, and I’d surely be elsewhere. There’s some points in this article I’d like to amend, but the basic thesis–i.e., APA-ACA stem from a conservative-low to broad church tradition, capable of taking surprising turns for the sake of Anglican ecumenicism– remains the same. However, ACA-APA have been converging toward ACC, and for the moment they appear to be more directed by the principles of St. Louis rather than Mobile. There’s also eddies occurring with other Bartonville jurisdictions like OAC and DHC, not to mention UECNA which has a history of affinity with low and broad churchmen. In fact, concurrent with UEC’s intercommunion pact with ACC is another with the much smaller yet far more protestant jurisdictions of Anglican Episcopal Church (a break off from OAC) and the little-heard-of Diocese of the Great Lakes (DGL). 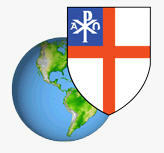 This second pact made by UEC is through the North American Anglican Council. The NAAC is interesting from the standpoint of its Canadian relations. Each represents a centripetal force, be it the NAAC or ministry partnership of ACA-APA with ACNA, challenging ACC hegemony or rigid policy of non-involvement as described by Haverland at the World Consultation. I’m trying to find a balance between Orthodoxy and Ecumenicism. It’s not easy because the way we approach ‘ecumenicism’ often contain the seeds of relativism. First to go are church canons. Next, essentials vs. non-essentials are purposely confused in a way that’s generally deconstextualized from history. A primary culprit is liberal catholicism which is the common root for ‘three streams’ theology that pretty much brushes aside the Tudor and Stuart periods, leaving an open protestantism/catholicism that can be defined by whim. I date to the little-reported and mostly inconsequential pre-Batronville FCC meeting at St. Stephens, Timonium, Maryland (having been part of the old Episcipal Snod crowd years before). This is one of the most interesting, thoughtful blog posts and sets of comments I have seen in a long while-certainly in anything to do with Anglicanism. It is well researched and written, without the “angricianism” I have sen elsewhere, and a spot-on analysis. Bravo!